I am a big fan of kuehs. Nonya, Malay, Indonesian, I love them all. One of my favorite kueh is tapioca cake. 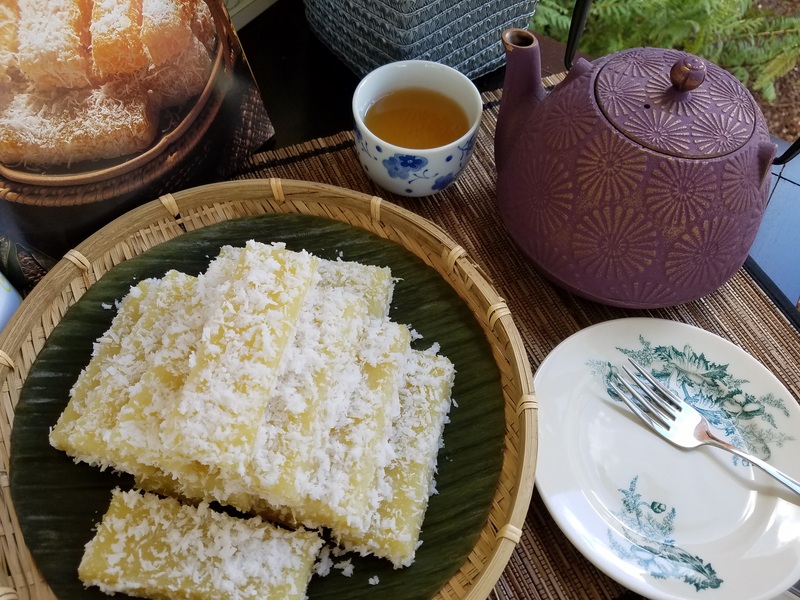 There are different ways to make tapioca cake; baked, steamed, or fried. I’ve tried Baked Tapioca Cake. I think that is the easiest, just stir the ingredients and stick them in the oven. 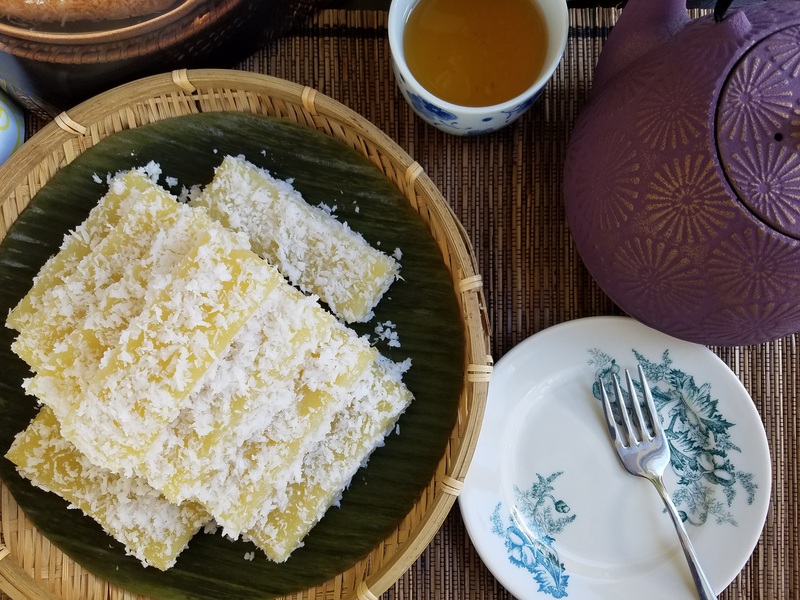 Steamed tapioca cake takes a little more effort. You need to steam the grated coconut and coat each piece of cake individually. For that extra effort, you get the extra texture of grated coconut. Nothing comes for free! Next time when my mom-in-law visits, I am going to ask her to teach me how to make fried tapioca cake. 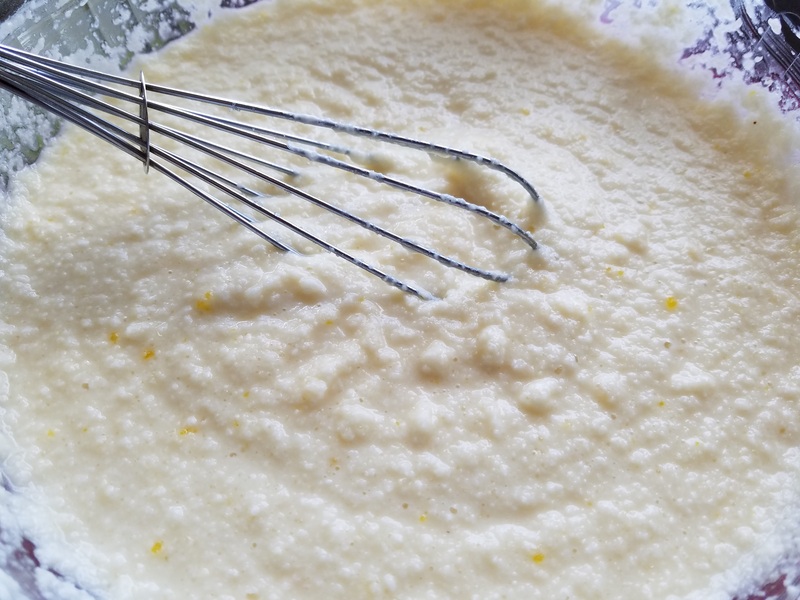 Till then, enjoy the steamed or baked tapioca cake recipes, they are both great! Sprinkle 1/4 tsp salt over the grated coconut. Stir and mix well. Steam for 5 minutes and set aside to cool. Stir the remaining ingredients together until blended. Pour into a square tin lined with parchment paper. Steam for 35 minutes until the cake is set. Wooden stick inserted comes out clean. Remove from the steamer and let the cake cool completely before cutting. 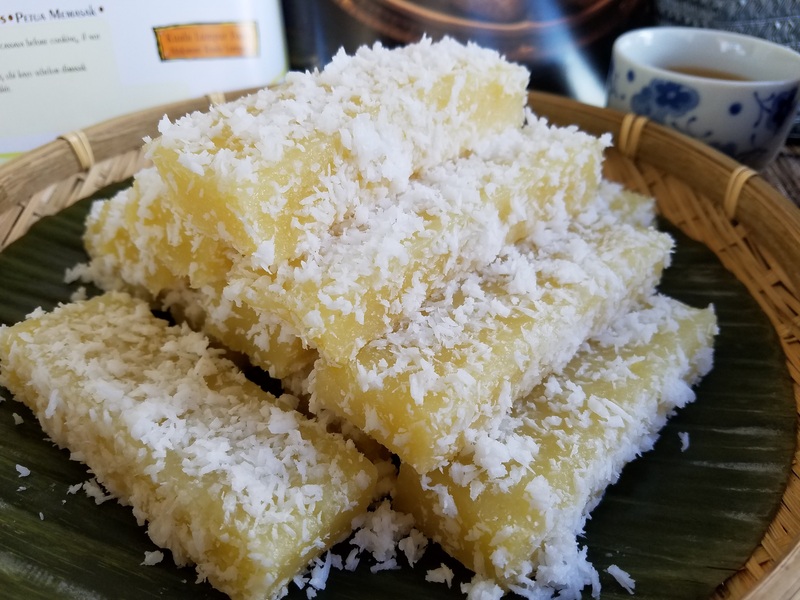 Cut into rectangular pieces and coat each piece evenly with grated coconut. Note: Anything with coconut doesn’t keep well outside the refrigerator. Do not keep the kueh in the fridge either, it will lose its chewy texture. So eat it while it is fresh! 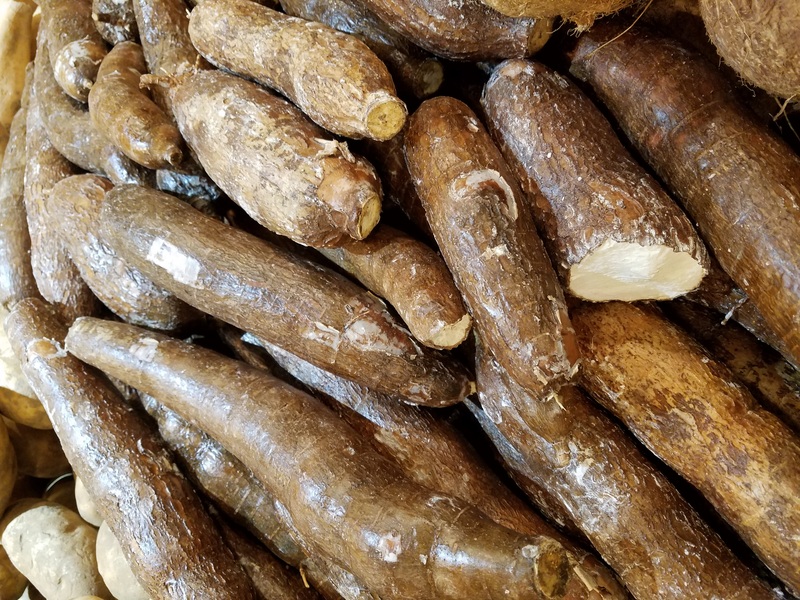 Tapioca roots. I saw my mom-in-law peel them and grate them by hand when she makes fried tapioca cake. I take the short-cut. Buy them grated in the frozen section in Chinese grocery store!